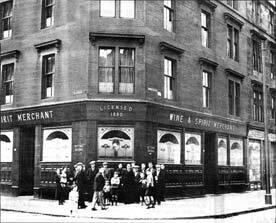 Thought about creating a thread where one can post old pics of West End Glasgow. So, what are you waiting for? Start posting. A view from Park Terrace on to the area in 1870. Lovely. Immense changes. One of Jim's – shame it's now demolished. What a photo. Never seen this before, samsc. That brings back memories, samsc. There was a real art to kindling and tending a coal fire. Many ingredients required, not just the coal but dross, briquettes, old newspaper and the kindling sticks. I had no respect for those who used firelighters. ha ha.